Check out These Magnificent Homes! The 6 Steps to Buying a Home reduces the complexities of the home buying process to a few steps. The idea of owning your own home is exciting, but the home buying process can be intimidating when you aren’t sure of the steps involved. We can’t wait to help you navigate the home buying waters to a successful shore landing. In the meantime, check out these six steps to buying a home and help keep the excitement alive and stress at a minimum. 💯 What Credit Score is Needed to Buy a House? 💵 How Much Money Should I Save to Buy a House? 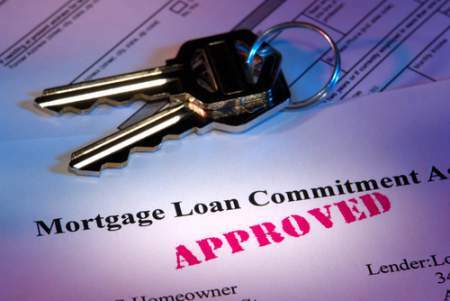 ☑️ Why Get Pre-Approved for a Mortgage Loan? The credit score required to secure a mortgage loan may vary depending on the type of loan and the amount of your down payment. 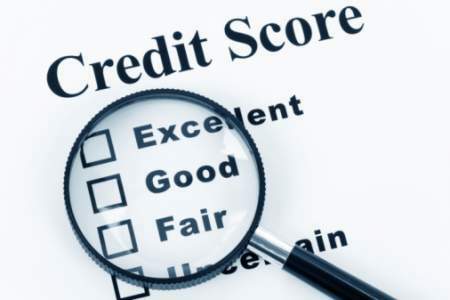 However, a higher credit score can reduce your interest rates and increase the amount of your mortgage loan amount. Many mortgage companies want a credit score of at least 640 to approve your loan, but there are cases when a lower credit score will work. For example, if you’re trying for a mortgage through the Federal Housing Administration, you may get by with a score that is 500 or higher. We suggest that you order a copy of your credit report from Experian, TransUnion, and Equifax. Due to the Fair Credit Reporting Act, you can receive a free copy once a year. Why get all three? Each reporting agency can have different information recorded for your accounts. Report any errors immediately and create a plan to solve any delinquent account problems. Very few people can afford to pay cash for their home purchase, but you will most likely need a sizable down payment to secure a mortgage loan. Prepare to have around 20 percent of the purchase price of the property in buying a home. In some cases, you may get a lower down payment offer, but it’s best to be prepared. OF course, there are other costs to consider when buying a home. You’ll want money set aside to cover closing costs and moving fees. Closing costs are comprised of fees for inspections, appraisals, title searches, legal services, and administrative tasks. Depending on the terms of your contract, the seller may cover all or part of the closing costs, but you want to have the funds on hand in case you are responsible for covering those costs. You’ve come to the right place! Helping you reach a successful transaction with as little stress as possible is what we do. We know this area, and we can help you locate the home that checks the boxes off your wish list. You want a real estate agent who communicates at a high level, genuinely listens to your needs, and goes to the negotiation table with strong skills. We would love to set up a time to talk with you about your home ownership goals and answer any questions you have about the home buying process. Your real estate agent is the best source of information about the local community and real estate topics. Call us at 602.687.9933 or Email us at Info@MetroRealtyphx.com to learn more about local areas, discuss selling a house, or tour available homes for sale. There is a distinction between being pre-qualified for a mortgage loan and being pre-approved for a mortgage loan. Getting pre-qualified shows that you may have a good chance of getting the loan you need to purchase a home. The process involves supplying basis information, and there are no guarantees. Being pre-approved for a mortgage loan requires more information and is guaranteed for a certain amount of time. Being pre-approved is beneficial in several ways. This pre-approval will let you know exactly how much you can spend on a home. There’s nothing more disappointing than wasting time looking for homes outside of your price range. Knowing the exact amount that the lender is willing to supply saves you time and money in the long run. Another benefit can be seen when you place an offer on a property. When a seller sees that you have the ability to follow through with the sale and honor your offer, they are more likely to pay serious attention. You want your offer to catch the attention of the seller. You also want the offer to make sense for your budget and not be offensively low. We’ll sit down with you to discuss the numbers and help you come up with an offer that works. Once you’ve decided on an offer amount, we’ll deliver this for you. That’s right! We’re working on your behalf every step of the way. You won’t have to deal with the specifics of delivering. The seller will have the opportunity either accept, decline or come back with a counteroffer. Once your offer is accepted, things get busy in the best way! Your lender will schedule an appraisal and any inspections that are needed. You’ll receive an initial list of closing costs, but keep in mind that your final list of closing costs may be significantly different. If everything goes well with inspections, you’re on your way to closing day. If something becomes an issue, we may have to return to the negotiations table with the seller to discuss terms. However, we will continue to work on your behalf until all conditions are met.